The recent debacle experienced by United Airlines remains in media headlines as additional details become public and the inevitable legal maneuvering begins. I watched the cellphone video footage first on social media then later on the national news as the story developed. 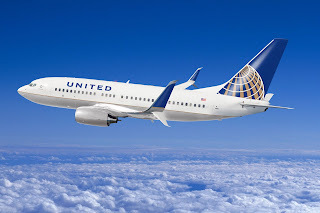 A lot has been written from a number of different angles by airline industry experts, business experts, and armchair pundits all expressing varying perspectives of the public relations failure of United Airlines. For my part, there are three distinct leadership lessons that immediately came to my mind. Every business, every ministry, every organization large and small have processes in place to deal with the more routine aspects of what they do on a regular basis. It is these very processes that make training new employees possible. They help to add a level of predictability to routine operations. Some processes are well designed and are scalable, meaning they can expand with the needs of the organization, while others are only suited to handle a given volume of activity and break down when activity exceeds what the process was designed to address. Over time, some processes become so entrenched that maintaining the process takes priority over the activities the process was originally supposed to help manage. Jeff Bezos, CEO of Amazon, says, “it is always worth asking, do we own the process or does the process own us?” It is an important question for leaders to consider. Processes are an important part of all organizations but the people those processes serve are more important. Outcomes matter more than processes because people matter more than processes. Good leaders are always willing to question the way things are being done. People don’t rise to the level of chief executive of a multibillion dollar international concern by accident. United Airlines CEO Oscar Munoz is a veteran of both Coca-Cola Co. and PepsiCo Inc. He also serves as the chief financial officer and vice president of consumer services at AT&T. Before becoming the CEO of United Airlines, he was president and chief operating officer of CSX Corporation. Munoz is a seasoned executive which is why the missteps after the news of the incident aboard Flight 3411 are so baffling. It is quite common for passengers to be bumped from a flight. Anyone who has travelled with much regularity has likely encountered such a situation. However, it is virtually unheard of for passengers to be bumped from a boarded flight. In his second statement about the incident, Munoz blamed Dr. Dao, the passenger that was brutally removed from the flight, for the incident. The fact that Dao would be hospitalized with a broken nose, concussion, and two lost teeth was not yet known. Once the extent of his injuries were known, coupled with the continuing public outcry, Munoz seemed to have a change of heart and find the right words to apologize for his company’s behavior and pledge to make it right. United dropped the ball in this instance and tried to blame the customer for their mistakes. Had Munoz immediately owned the situation and vowed to get to the bottom of it, the media and public would have a completely different perception of the company. The blame game started in the Garden of Eden (Gen. 3:12) and has persisted ever since yet man still fails to understand it never works! Leaders that blame others for the mistakes of their organization undermine themselves and their organization. Jargon is simply special words or expressions used by a particular profession or organization and are often difficult for others to understand. Every organization has its own jargon used by insiders and the airline industry is no exception. The use of jargon streamlines communication between colleagues or other professionals within a particular industry and is largely a good thing. While helpful for those inside an organization or given profession, when jargon finds its way into external communications, the intended message is, at best, unclear. When this happens as a leader is dealing with a major event, the event can quickly escalate into a crisis. The importance of understanding the reputational threat posed by a crisis is important. Mr. Munoz failed to understand the extent of the injuries suffered by Dr. Dao before releasing an initial statement. That statement was viewed negatively due to the use of airline industry jargon. Social media was awash with memes featuring images of a bloodied Dr. Dao with captions that included the reference to having to re-accommodate passengers. While that may sound normal to insiders, it served to help make a challenging situation morph into a full-blown crisis. Putting people before process, owning mistakes, and clear communication are the three things that came to my mind as the unfortunate situation with United Airlines and Dr. Dao unfolded. Had any of these three things been handled properly, the situation may not have escalated as it did. Had all three been a priority, I do not think there would have been an incident to start with.